The simple and straight forward designs makes this template a sure winner in the IT world! 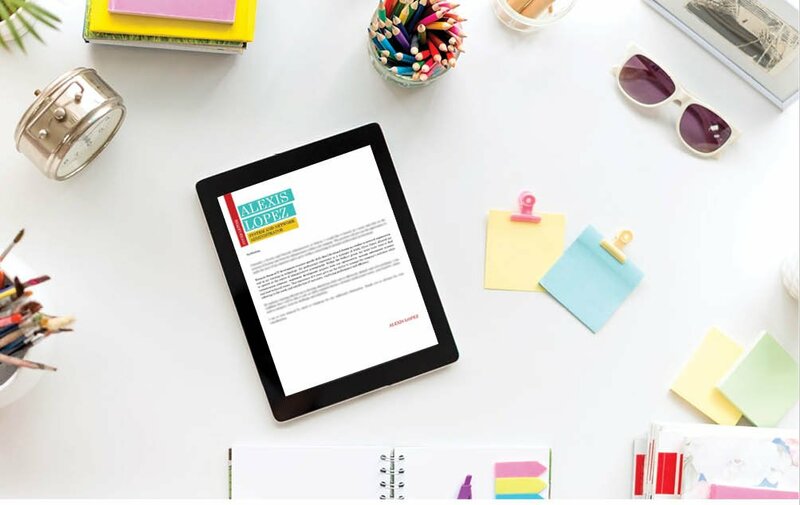 Cover letter to download "IT System"
A cover letter that is eye-catching, yet still maintains a great level of functionality?—Then this template is just for you! 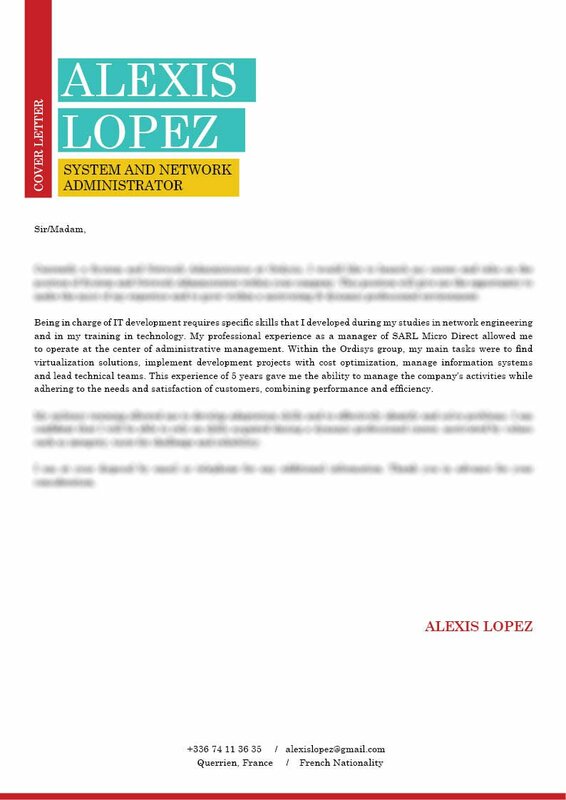 This is definitely one cover template with an effective Cover letter format that can be applied to any type of job as it contains clean structure that presents all your qualifications with good detail, which is sure to impress your potential employer, and help you on your way to becoming a network administrator! 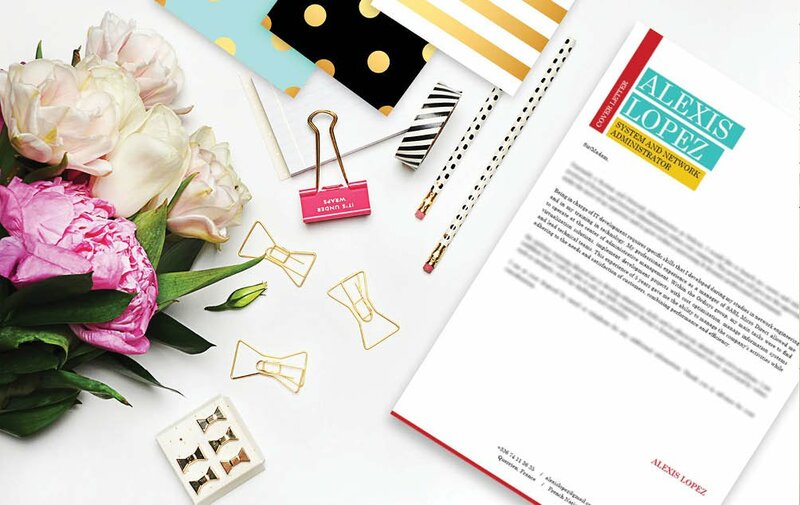 One major factor that makes a cover letter good or even perfect, is a clear and comprehensive design. If it's designed poorly, content won't be understood easily and the likelihood of your reader losing interest will increase. No matter how well written that cover letter of yours is—it won't get a full reading the first time through! Therefore, you must present all its content in a well-organized structure. To achieve this, use a standard, but a professional fonts like Helvetica or Calibri. Choose a font style between 11 and 12 to lessen clutter, and selectively apply bold and/or italic font styles to guide the reader's eyes. 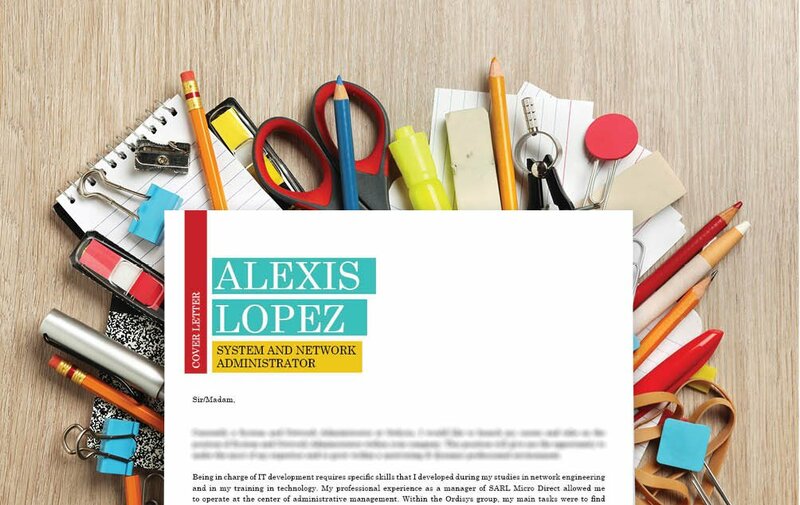 Make good use of symbols and graphics to bring attention to the key parts of your cover letter. And lastly, give your cover letter a logical format by using headings, subheadings, and white spacing.